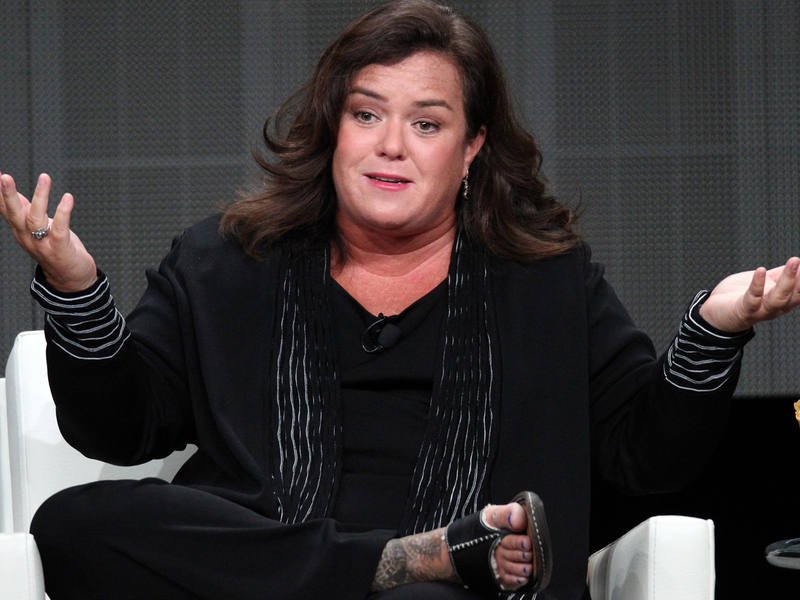 (CBS News) Comedienne and television personality Rosie O'Donnell thought the pain she was experiencing was because she pulled or strained a muscle. It wasn't until she felt nauseous and clammy that she realized something might be wrong. "Maybe this is a heart attack," she wrote of her thoughts on her website. "I googled womens (sic) heart attack symptoms i had many of them but really? - i thought - naaaa." O'Donnell decided not to call 911 but opted to take some aspirin. It wasn't until the next day when she went to a cardiologist that the doctor discovered she had a heart attack. An EKG revealed that her left anterior descending artery (LAD) was 99 percent blocked. Heart disease is still the number one killer of Americans, and one in four women will die from it. About two-thirds of women who die from heart diseasedid not report previous symptoms. Even though doctors have done a lot of work to help improve heart health, it's still a big problem, Dr. Jeffrey H. Johnson, clinical cardiologist at the University of Tennessee Medical Center in Knoxville, Tenn., told HealthPop. For example, only one in five women believe heart disease is the greatest threat to their health, according to WomenHeart: The National Coalition for Women with Heart Disease. Only 53 percent would call 911 if they were experiencing heart attack symptoms. "Rosie O'Donnell's experience with her heart attack is one that is all too common among women. She didn't recognize her symptoms as those of a heart attack and she delayed calling 911," Lisa M. Tate, CEO of WomenHeart: The National Coalition for Women with Heart Disease, said in a press release. But women should be concerned, Johnson warned. Not only are 55 to 60 percent of all heart attack victims women, for reasons unknown to doctors they are also more likely to experience atypical heart attack symptoms. Instead of shortness of breath and pains shooting down the right side of the body, they may feel abdominal pain, back pain, nausea, jaw pain or breaking out into a sweat for unexplained reasons. In addition, while heart attacks usually occur in men older than 45, the cardiac event doesn't increase in frequency until women reach 50. Because women typically present at an older age, they typically have more diffused plaque in all three of their heart arteries when heart disease is discovered compared to men who usually only have one clogged artery, Johnson said. Other increased factors for having a heart attack include having diabetes, smoking, high cholesterol, hypertension or high blood pressure and family history. When someone is having a heart attack, it means that some event has caused a buildup of plaque to rupture, Johnson explained. The body tries to repair the area by sending platelets, which clot the artery. This closes off the artery and prevents blood from getting to the heart muscle. According to the American Heart Association, the muscle begins to die when the blood supply is cut off. The longer it takes to receive medical attention and treatment, the more permanent damage is done. Johnson emphasized that this is why it is so important for people to recognize they are having a heart attack and act accordingly. Taking an aspirin like O'Donnell did isn't a bad idea, but the next step should be calling 911 or getting to a medical center as soon as possible. If you put it off, Johnson explained you could cause more heart damage. After one patient of his started displaying signs of a heart attack, Johnson ran some tests and confirmed his suspicions. However, the patient insisted on going home to tend to affairs first before any treatment. The patient came back 24 hours later but was in significantly more pain than the day before. "Early presentation leads to much greater survival and much better chance that we can use some of technology to open arteries and restore bloodflow," Johnson said. Doctors hope that O'Donnell's frank discussion of her heart attack will bring more attention to the issue. "Rosie O'Donnell's courage and frankness in speaking out about her heart attack will surely save lives by making women more aware of heart attack symptoms and the need to seek immediate care," Tate stated.